Although I unfortunately didn’t make it to Samsung’s Press Conference at this year’s CTIA. I had a chance to meet up with some of Samsung’s PR team at their booth. Their latest flagship device? 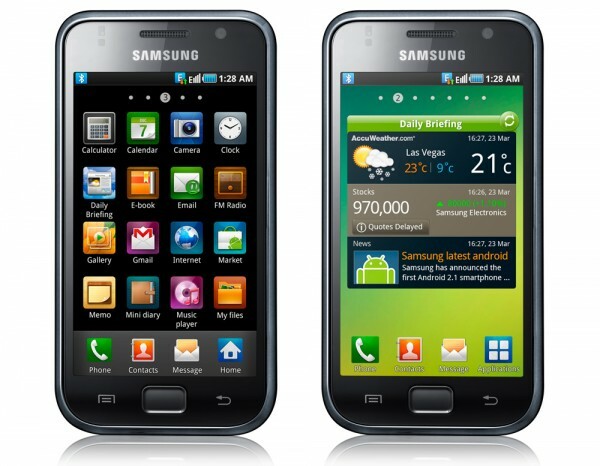 The Galaxy S (GT-I9000). 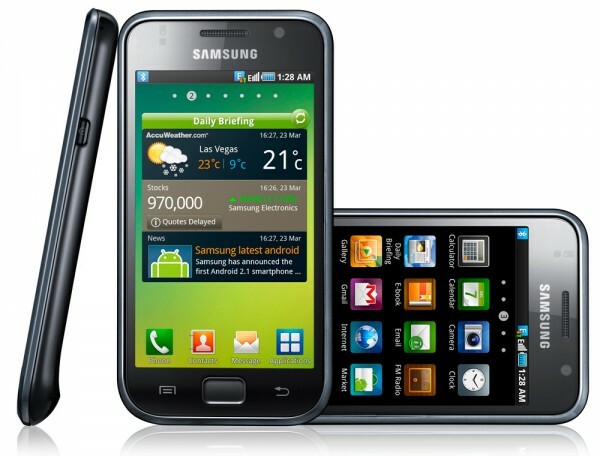 In short, it’s an Android smartphone with a large 4-inch AMOLED display and an unusually fast processor. While I was excited for Sprint’s HTC Evo, this launch shouldn’t by any means be overlooked. Although Samsung didn’t mention which networks would carry the Galaxy S, it’s expected to reach Europe, North America, Australia, and Asia soon. The Galaxy S stands out from its completion for a couple of reasons. It’s display is like non-other. The AMOLED display is drastically brighter and more efficient than standard displays. Although I couldn’t take one out doors, it’s supposedly bright enough to view even under direct sunlight. Plus, with its powerful processor, it can handle playback of HD videos. Speaking of the processor, it’s apparently 3 times faster than the currently famous 1GHz Qualcomm Snapdragon. As it’s an Android device, it’s naturally packed with Google mobile services from Gmail to Search to Maps. Samsung’s special Social Media hub integrates social networks, email, and other web services into an intuitive interface. Both HTC’s Sense UI and Sony Ericsson’s Timescape also try to achieve a similar affect on the Android OS. Asides from that, the press kit I picked up mentioned that it had DLNA streaming built right in, which is a plus. The daily briefing feature (pictured above) also caught my eye as it’s a convenient feature. I also finally had a chance to truly test the Swype keyboard technology which allows you to type a word without ever lifting a finger. It was surprisingly accurate and quick, but definitely would take some getting used too. And finally, also mentioned was ThinkFree, a built-in application to view and edit Microsoft Office documents. It’s a great package, but even if a slight variation hits the U.S. through a major carrier, it would definitely be a unique device. We’ll try to get a unit in for review in the near future, so stay tuned for updates. We’re always on Facebook and Twitter!